Walking simulator / narrative adventure games can be successful if they accomplish any one or combination of the following – great presentation, great story, great puzzles. Get at least one of those things right and your game is worth playing as far as I’m concerned. The latest walking sim to hit the Xbox One and PS4, The Station (from an impressive collection of industry vets), hits those high points and is a memorable and worthwhile experience overall. It fails in one key area, however, as it is far too short and leaves you wishing there was a lot more of it. 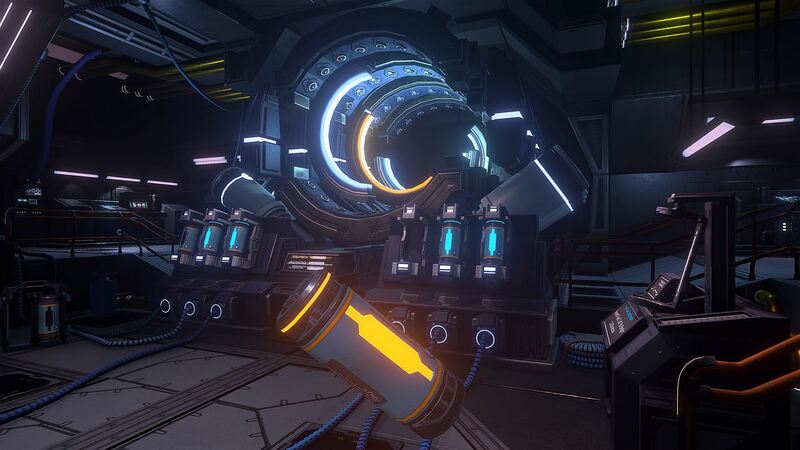 See all of the details in our full Xbox One review of The Station. Sentient life has been discovered on an alien planet. The aliens on the surface are a brutal and violent race constantly engaged in war, however, so a stealth space station was sent there to secretly observe them. Something happened, though, and communications with the space station are abruptly cut off so your character is sent to investigate. Your investigation requires you to re-activate functions on the station as well as try to figure out what happened to the three-person crew. You also discover the true nature of the aliens down on the planet, which culminates in a pretty solid, but predictable, twist ending. If investigating a suddenly silent space station sounds familiar, that’s because 2017’s Xbox One console exclusive Tacoma did pretty much the same thing. 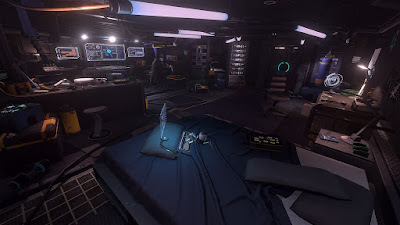 The difference between The Station and Tacoma, however, is that The Station offers actual gameplay that makes you an active participant in the story rather than just a passive observer of a story that already happened. The Station still has messages to read and audio files to listen to so you can learn about the crew, but that is in addition to the exploration and puzzle solving gameplay which makes for a more fun and more complete package than Tacoma (and some other walking sims) offered. The gameplay in The Station takes place from a first-person perspective as you walk around the station and solve puzzles to re-activate systems, open new sections of the station, and learn what happened. The gameplay is fine and, thankfully, moves along fairly quickly so you don’t get frustrated by having to slowly walk all over. The real star here is the puzzles that task you with thinking outside of the box a bit to solve them. Repairing a service robot, for example, requires specific parts stored away in a couple of dozen different bins. First you have to figure out which bin the part you need is in, then sort out the usable units from the duds. Another puzzle has you tuning batteries to specific frequencies. And yet another has you figuring out how to unlock a door by solving a riddle. It is interesting and fun to discover how to solve the puzzles and I really enjoyed all of them. One other thing I find interesting about The Station is that it is pretty intuitive. The puzzles just make sense and figuring out what to do next and where to go is surprisingly logical. There is a AR pop up menu / guide to help point you in the right direction, but I honestly never used it on my first playthough. I didn’t need to. I did use it a bit on a second run to wrap up a couple of achievements, though. My only real problem with The Station is that there just isn’t enough of it. The game only takes a couple of hours to finish and there are only a small handful of puzzles overall. I want more. I’m not satisfied. This is a unique problem in my experience with walking sims as most either overstay their welcome and are too long (Everybody’s Gone to the Rapture) or reach a satisfying conclusion and end right when they need to (What Remains ofEdith Finch, Firewatch). It has been rare that I’ve been hungry for more from a walking simulator, but that is where I’m at with The Station. It just ain’t long enough. The presentation in The Station is well done throughout. The visuals are nice and clean and detailed and I like the overall design of the station itself as it isn’t just clean and futuristic and has some messy mechanical guts on display here and there. The sound is absolutely wonderful as the voice acting is solid but the environmental sound effects of the station creaking and groaning around you are fantastic. A real sense of dread and suspense slowly builds throughout the game and the sound is a major part of that. All in all, The Station is a very well put together walking sim with excellent puzzles, nice presentation, and a solid story but there just isn’t enough of it. It’s great, but the $15 price is probably just a skosh too high for a short experience that doesn’t leave you satisfied. 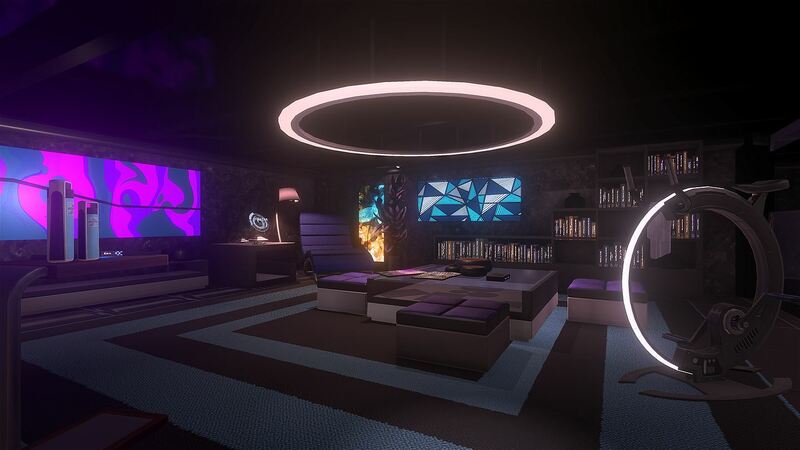 Walking sim fans will definitely dig it, but maybe wait for a sale before you buy.